After opening the Gateway Cup with a big win at the Tour de Lafayette, Team Sixcycle-RK&O partook in some classic Saint Louis cuisine - Imo's Pizza - and prepared for the second day of racing. While racing under the lights on Friday provided some modest relief from the heat wave that had settled over Saint Louis, there would be no such relief on Saturday as the squad was racing in the mid-afternoon heat. The team's recap of day two at the Gateway Cup - the Tour de Francis - follows below. 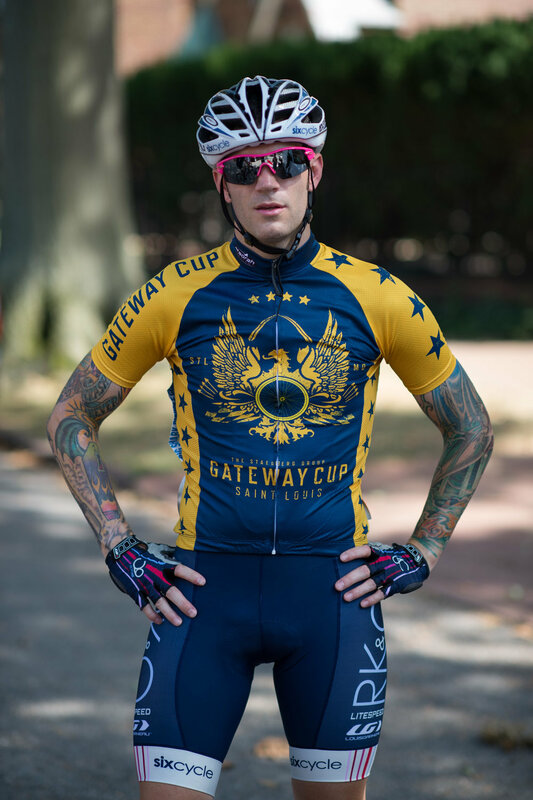 Stay tuned for more on Team Sixcycle-RK&O's successful run at the Gateway Cup over the next week. The second day of the Gateway Cup was the Tour de Francis - and the day started where we left off the night before, with scorching temperatures and humidity. Our race was scheduled to kick-off at 3pm at the peak of the day’s heat, which had us all a little worried. After spending the morning with family, I met up with the New York crew at Francis Park in South Saint Louis. 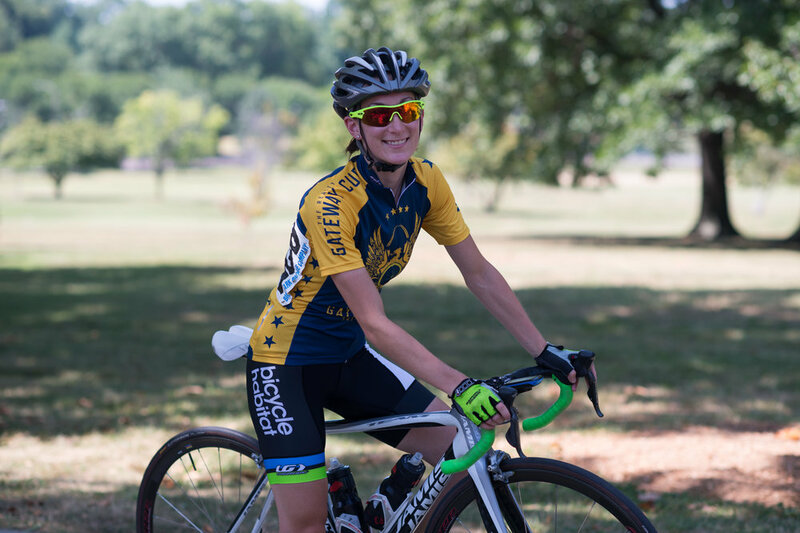 Spirits were high after Roger Parmelee’s win under the lights at Lafayette Park and the goal was to get another result and keep Roger in the Leader’s Jersey. The course was a 1.3 mile rectangle with wide roads and sweeping 90 degree turns with a downhill sprint - a good recipe for a fast race and tough for a break to get away, which fits well into our skill set, particularly given we had the series leader's jersey and only had three racers in the field. After our warm-up - spent in the shade alongside the lone rise in the course - Matt, Roger and I made our way to the start line to watch Charlie Bird fly around in his race. There was also another bumper crowd with locals camped out on their stoops and front lawns with tents pitched and coolers full of beer, getting parochial as the racers flew by. After Charlie's race finished we lined up at the start. It was another sizable field, maybe bigger than the night before, so I was expecting another high tempo race - and now that our cover had been blown from the win the night before, we were definitely attracting more attention in the field. As we pushed off from the start line the first half of the race was very subdued, nothing like the previous night. I think everyone was concerned with the scorching heat and trying to conserve needed energy as the heat index reached 105 (with reports that the temperature on the pavement was hitting 110 degrees). I went up to the front a number of times to inject some life into the race, but no one was willing to pitch in, so the objective switched to keeping the race together and working for Matt and Roger in the sprint. As the laps counted down and I took my last sips of lukewarm fluid from my bottles and moved up to the front. With two laps to go I decided the race needed to switch up a gear as the field was just content to jostle around and wait for the last lap to try anything - a recipe for a bunched up and gnarly sprint. So we lined it up with myself off the front with Matt and Roger tucked behind. I dug deep and went as hard and long as I could to drop Matt off with a lap to go. Knowing the engine Matt has on him I knew he could drop Roger off where he needed to be to win the sprint. After I pulled off Matt took over the lead out, with other riders seemingly content to follow wheels waiting for the bunch sprint. Then, approaching corner two, an aggressive solo attack from another rider shot up the inside. Faced with either doing the work for the field and closing it down or rolling the dice to get off the front, Matt went with the move - setting us up perfectly, with Matt in the hunt to take the win if the attack succeeded while forcing the other riders to work to close it down, thus setting Roger up for the sprint if the gap was closed. As the field rounded the last turn, Matt had been caught, but Roger was in a great position to contest the sprint. Roger and two other riders surged from the final corner, building speed into the high speed finish. It was a flat-out downhill drag to the line with Roger getting 3rd in a very close sprint - our second podium in as many races and another great result the squad, keeping Roger in the Leader’s Jersey by one point. Immediately after the race I slumped on a front lawn near the finish line and poured cold water all over me, throwing down two bottles in quick succession in an attempt to cool down after what was by far the hottest race I had ever participated in. By the time I had managed to get my body temperature down to a safe level, I walked over to the finish line to congratulate Roger and Matt. Roger was as white as a ghost, so I gave him a bottle of water, and in short order he had recovered, thanks in no small part to the Michelob Ultra podium girls handing him bags of ice to stick down his jersey. The color quickly came back to his face as he got ready to step foot on the podium once again."